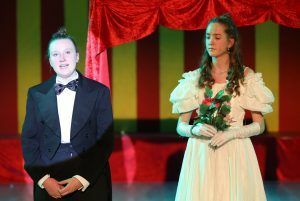 This year’s senior school production was the fabulous musical ‘Barnum’, based on the life of circus showman P.T. 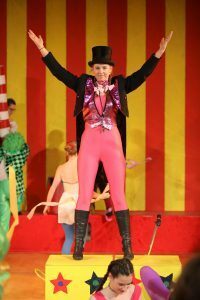 Barnum which inspired the recent film, The Greatest Showman. 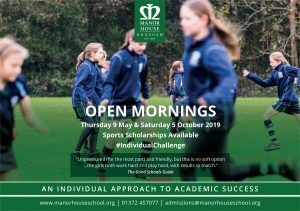 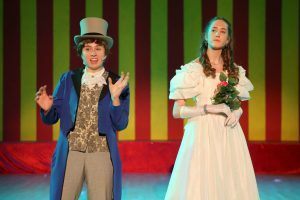 Originally produced on the Broadway stage, the drama was staged in the period 1835 through to 1880 and involved around two-thirds of the senior school in some capacity; back-stage, acting, singing, sound-desk, scenery and orchestra. 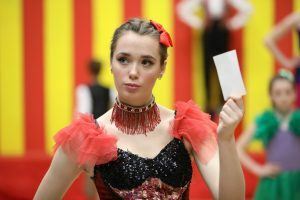 The circus extravaganza included 33 musical numbers and almost 400 costume changes in total – which were sourced and created by Pip Martin and Anne Coleman. 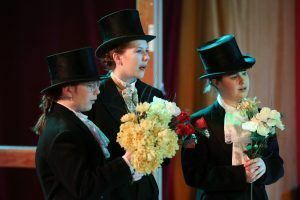 Some girls performed two or more different roles. 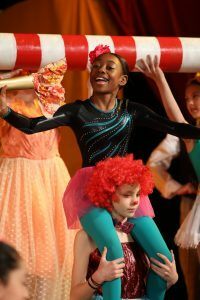 The cast rose magnificently to the exciting challenge of mastering circus skills along with complicated song and dance routines. 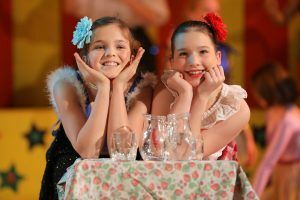 Their talent and enthusiasm were outstanding as they performed over three nights from Monday 25 March to Wednesday 27 March. 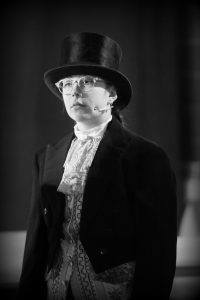 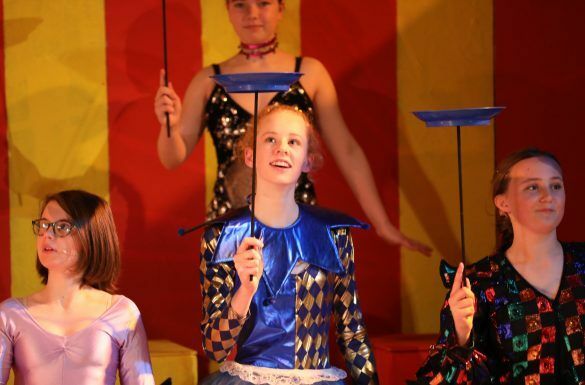 Barnum was played by Year 10 pupil, Lizzie F, with Chelsea G playing wife, Chairy. 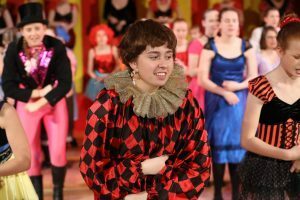 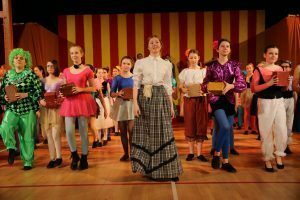 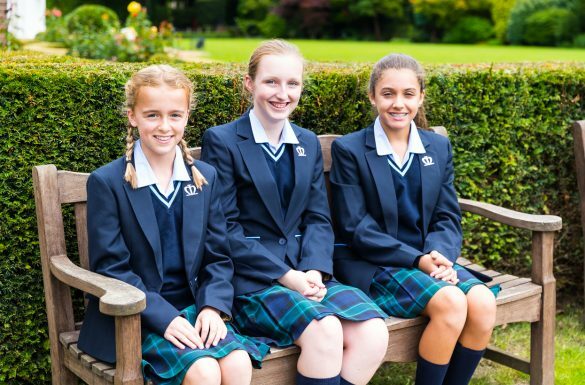 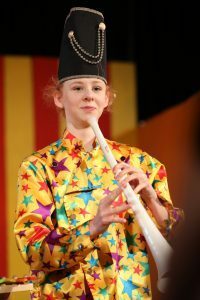 A superb cast of girls from Year 7 to Year 11 played specific roles, in addition to appearing in the cast of circus performers. 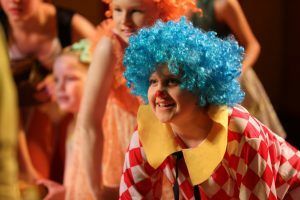 The production which was produced and directed by Mrs Teresa Williams, Head of Drama, was colourful, energetic and brilliantly choreographed by Adrian Edmeades, BBC Children’s Choreographer.